When the water rolling off Cross Bay Boulevard came pouring into the basement of Ragtime Gourmet Supermarket off 158th Avenue in Howard Beach, it filled the space quickly, taking out all of the electrical power and destroying many of the compressors and other equipment used to power the extensive commercial fixture field throughout the store. There are showcases from one end of the establishment to the next. There are produce watering systems, refrigeration units, a professional juicing station, a kitchen equipped with the capability to cook for hundreds, lighted boards and promotional display signage all over. In consideration of all that, it becomes increasingly clear why Ragtime owner Angelo Gurino was concerned with only one thing as the storm hammered his business and his home—getting his electric power restored. The process of getting a CAT generator large enough to run Ragtime was a big task in and of itself—but the process of getting one when so many other people in the city were looking for the same thing, brought new meaning to supply and demand. But, the man who is described by everyone who knows best as a natural problem solver found the solution in Canada which is also where he saw the beginning of the very long register tape of huge expenses. The truck that carted the generator down from just over the Canadian border that came with by a $5,000 price tag and a projected fuel cost of $300 per day– about $9,000 thousand a month. But, in the end, when all was said and done, Ragtime’s expense for the generator and the fuel looked like the receipt from a pack of bubblegum. Among their more notable expenses from Sandy are $50,000 in merchandise and product, $100,00 loss of income, $15,000 to replace electrical panels, $8,000 to replace the sign that blew from the window, $6,600 in diesel fuel to run registers and essential administrative equipment. “There was a couple of minutes there that you just had to check to see if it was real,” quips Angelo Gurino. “It was just like the water; trouble coming from every direction.” And his troubles flowed into yet another Gurino venture, Twist it Top It, a frozen yogurt store. 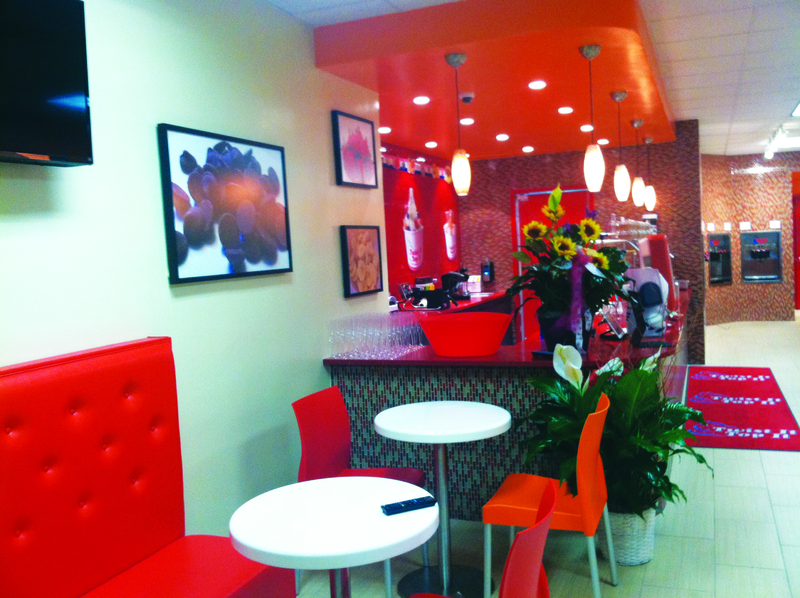 It quicky became a favorite neighborhood haunt, when it opened on Cross Bay last year. The opening of the second store, planned for Metropolitan Avenue in Forest Hills will open this Saturday, April 27. The opening of the second Twist It Top It store, although geographically removed, suffered delays of several months. After catching his breath Gurino went to work, like many of his business colleagues did, with the added responsibility of having their homes affected by the storm as well. In addition,Ragtime was also one of many area businesses that extended their generosity to the community. The store continued to deliver trays of hot food to the emergency center at Father Dooley Hall in St. Helen’s for weeks after the storm to feed hundreds of people each day. And, according to the Lindenwood Alliance, Gurino cooked and delivered more than 500 meals to those in the community who were in need of hot food. It took almost two months to get Ragtime to the place that it was before the storm and to compensate for some of that loss, Gurino has chosen to expand some of the departments in the store. 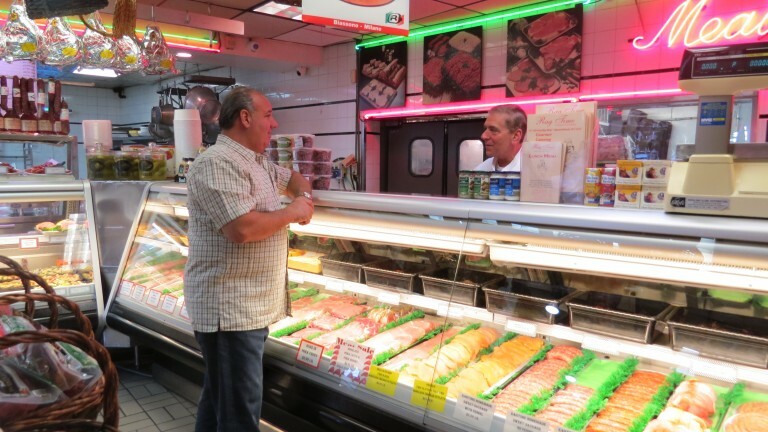 Angelo Gurino says the addition of the neighborhood's favorite butcher has led to many new and "meaty" ideas around the store. Here they discuss who has the better recipe for marinades. Gurino says Sal usually wins. In addition to the meat department, one of the most successful departments in the store is the bread/bakery, which now offers a bread Gurino says that is selling out every day. He has hooked up with former Howard Beach Resident Charles Verde, who discovered the city’s largest coal oven in the basement of his building after closing his construction company. 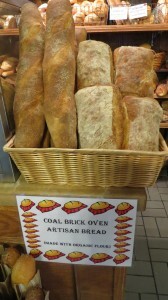 The introduction of coal-oven bread has seen the return of customers every day until the loaves run out. 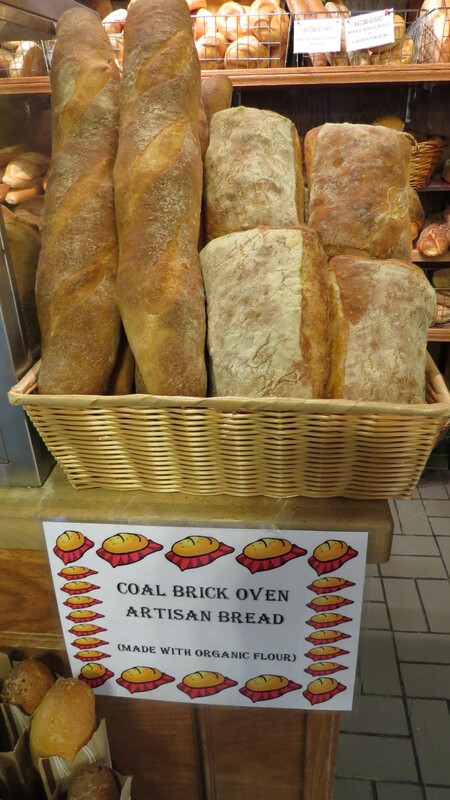 Verde started using the oven to bake what Gurino terms, “the best coal oven bread around.” Now he stocks it fresh every day and is working on expanding the line to multi-grain, whole wheat and many Artisian breads. After the storm and moving toward the future, the owner of Ragtime says that priorities remain the same—giving the best quality, at affordable prices, and good service—but that the perspective might have changed a bit. “We all know one-thing for sure and that is the unexpected can shake the foundation of everything. We have to be better prepared. Always,” affirms Gurino. “But the most important thing I think we learned is that we do better when we help each other and the community out.” It’s that simple formula, many say are responsible for the store’s success. Plans for more additions to Ragtime will begin next week when the store will add Fish Frydays to it’s regular schedule. One day a week, customers will be able to feast on their favorite seafood fireid to perfection and served with cocktail or the secret Ragtime tartar sauce. The menu will feature fried shrimp, filet of sole, scallops and fish and chips all fried fresh while you wait and is one of several planned addition to the prepared food selection. Also on the Ragtime horizon is the development of an expansive line of gluten-free products and prepared foods. 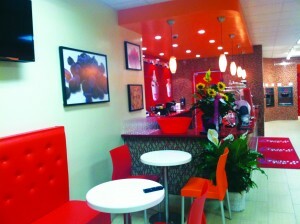 Ragtime is located at 157-48 Cross Bay Blvd and is open 7 days a week. For information you can call them at 781.845.4598.